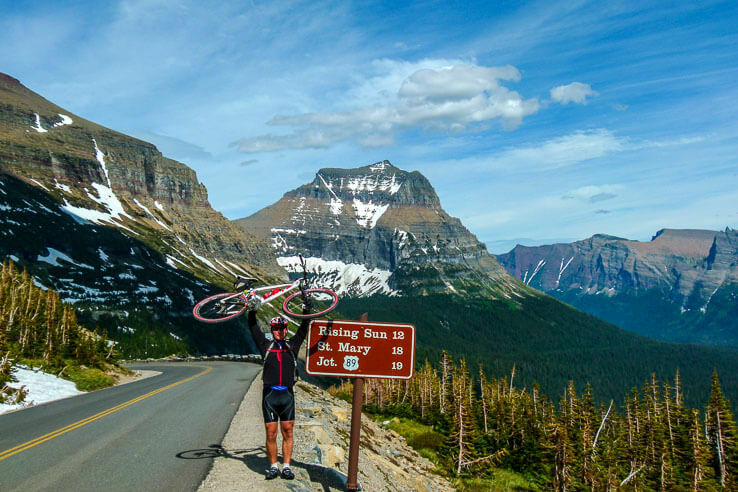 Biking the Going to the Sun Road from both sides of Glacier National Park in Montana was an enjoyable ride. It is challenging without a doubt, but also gives you plenty of time to enjoy the views of the surrounding peaks. You can even bike right under the waterfalls to cool off! Glacier national park, also called Crown of the Continent, is located in Montana, US. 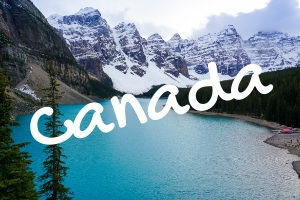 Right on the Canada – United states border neighboring with Canadian provinces of Alberta and British Columbia. It is a quick ride of 3 hours from Calgary, Alberta. 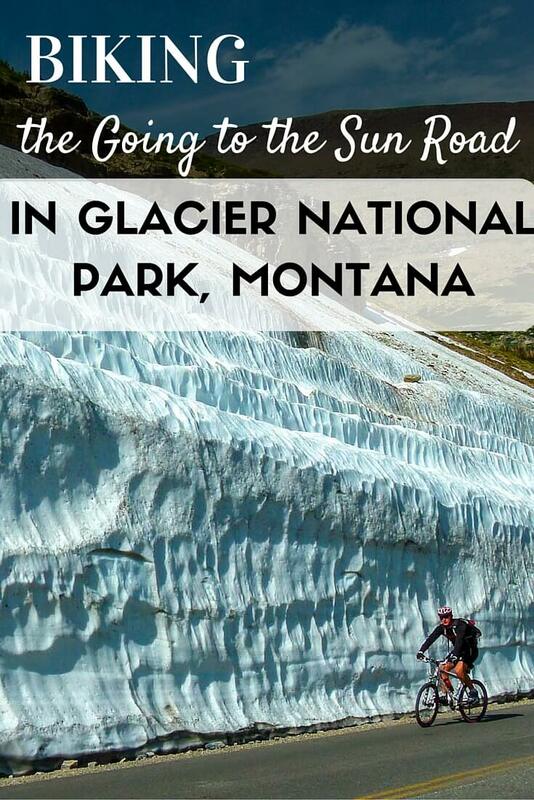 When we planned visiting Glacier National Park in Montana, I began researching trails for mountain biking. Unfortunately, many national parks including Glacier don’t have mountain biking trails (or just short trails along the lake). Trails are meant for hiking. Biking up the various roads up the mountain became our thing. Every year, we are impatiently waiting for mountain biking season to begin. It’s quite short in Canada – usually June to September. And when the snow in the mountains doesn’t want to thaw, we temporarily bike on the road. There goes a road through the Glacier National Park with an awesome name – Going to the Sun Road. 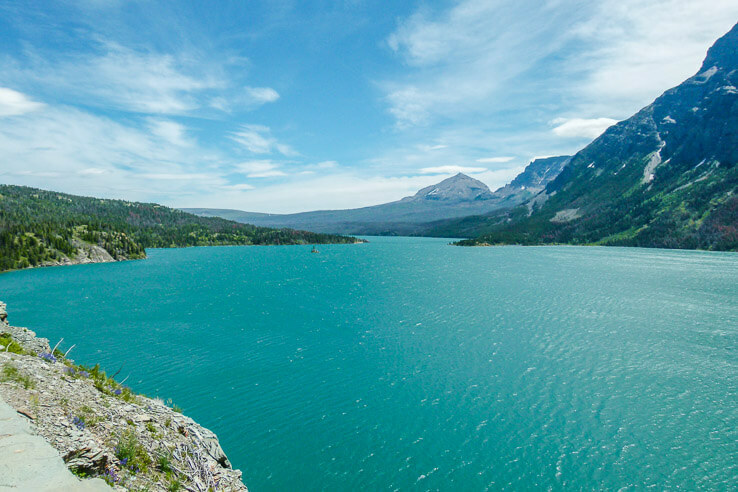 Its 80 km paved road going from the east side of the park to the west, the full width of Glacier National Park. 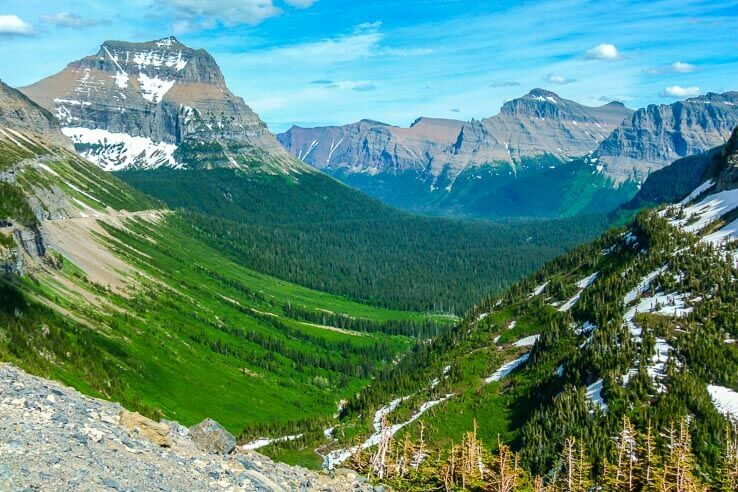 It passes everything from glacial lakes to alpine tundra on the top of the Logan Pass. Perfect! Deciding from which side to start wasn’t easy. Cyclists on road bikes usually bike through the park either way and connect to the southern highway #2 through Browning, making a 235 km (146 miles) loop. I’m sure the whole loop is very scenic. But 235 km on mountain bikes is no fun. 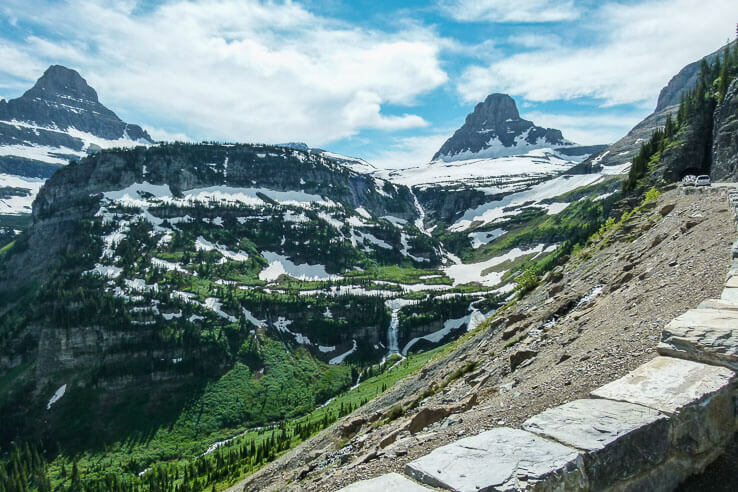 We found an alternative – biking the Going to the Sun Road from the entrance of Glacier National Park to Logan Pass from both sides. Hard to say what is more difficult – biking 235 km (146 miles) loop mostly on flat highway or biking up the mountain pass up and down from both sides of the park (162 km/100 miles total). If you’ve done both, I would love to hear from you. Let me say this right here, right now: It was worth it! 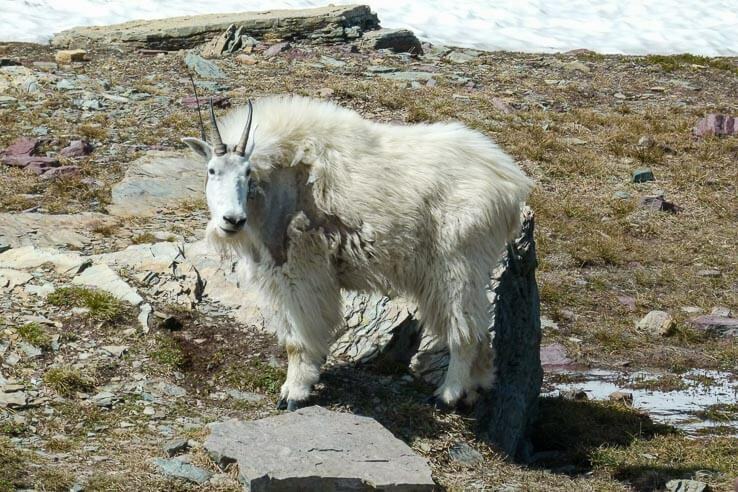 Before you go to Glacier National Park, check the road status on their website. If you want to check what sections of the road are open to bikes, check the parks’ plowing report. 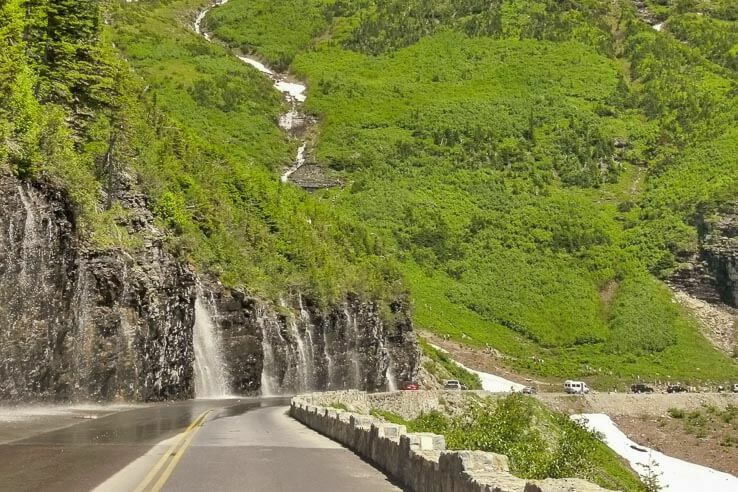 Going to the Sun Road is closed during winter. Due to the yearly heavy snowfall and frequent avalanches, they need to plow a big part of the road. Although they start plowing in April, it takes until June (different day each year) to reach the Logan Pass from both sides. In the meantime, parts of the road from each side of the park are accessible by car until certain point, and even further for hikers and cyclists. If you want to reach the top, you need to wait until they open the road all the way through. 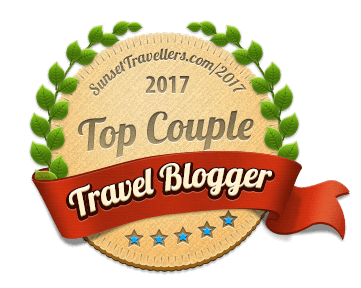 This happened just a week before we visited, around 25th of June. We parked the car at the visitor centre of the park’s entrance. Logan Pass is only 29 km away from St. Mary. First 18 km/11 miles of Going to the Sun Road is mostly flat, biking along Saint Mary Lake. Very easy introduction into the ride. When the lake ends, all the fun begins. On the next stretch of 11 km/7 miles, you are going from 1,450 m to 2,025 meters above sea level (4,757 feet to 6,646 feet). It took us 1,5 hours to reach the top while admiring the valley and waterfalls on the opposite side. Logan Pass Visitor Center has restrooms and drinking water but no cafeteria. Bring plenty of granola bars, or whatever else you like, to fuel up and raise your energy levels. We walked on the pathways on Logan Pass to give our legs a break. Making our way through the maze of avalanche walls was an unexpected kind of fun. And a great way to cool off a bit while having a snow fight. Now to enjoy the reward of biking downhill! Water bottle with filter – so you can drink from all the waterfalls. This side of the Going to the Sun Road is much longer, but in my opinion, more enjoyable. We started in the town of West Glacier, where the Going to the Sun Road begins. Shortly after is an entrance to the park and Apgar Visitor Center. First 20 km/12 miles is flat along the Lake McDonald. What seems like never ending lake, turns into slight uphill for the next 15 km/9 miles. Last 17 km is a mix of everything – steep, challenging, scenic, sometimes scary and most rewarding. To give you an idea about each: it is quite steep and challenging as you are climbing up from 1,100 m to 2,025 meters above sea level (3,608 feet to 6,646 feet). In a few parts, the road becomes very narrow with rocky backdrop on one side and a deep cliff on the other. Drivers were usually respectful and gave us plenty of space. As always, you can find exceptions. In that case, I rode in the middle of the lane, just in case I was being pushed too close to the edge. Now comes the best part, just before you reach the top, the thawing snow from the rocky backdrop is creating several waterfalls I talked about at the very beginning of this post. Cars were passing right beside them, people sticking their hands out to touch the water. I didn’t understand if they are afraid of water or something when they didn’t step out of the car. And there was a pullout zone where you could safely do so. I biked right under them to cool off on this hot summer day. These waterfalls are at the right place, just when I was low on energy, no drinking water left and desperately needed a nudge to keep pedaling. Since Michal was faster than me, I told him to go ahead and don’t wait for me. Too late I realized he had my energy bars with a spare bottle of water. Cold water kept my spirits high for a few more kilometers, but not for very long. I was having way too many stops and starting to feel cramping in my legs. Few hundred meters from the top, the Logan Pass seemed unreachable for me. Just as I wished it could happen, Michal biked down from the top and appeared in front of me with a granola bar in one hand and water bottle in the other. He saved my day. And my cramping legs. 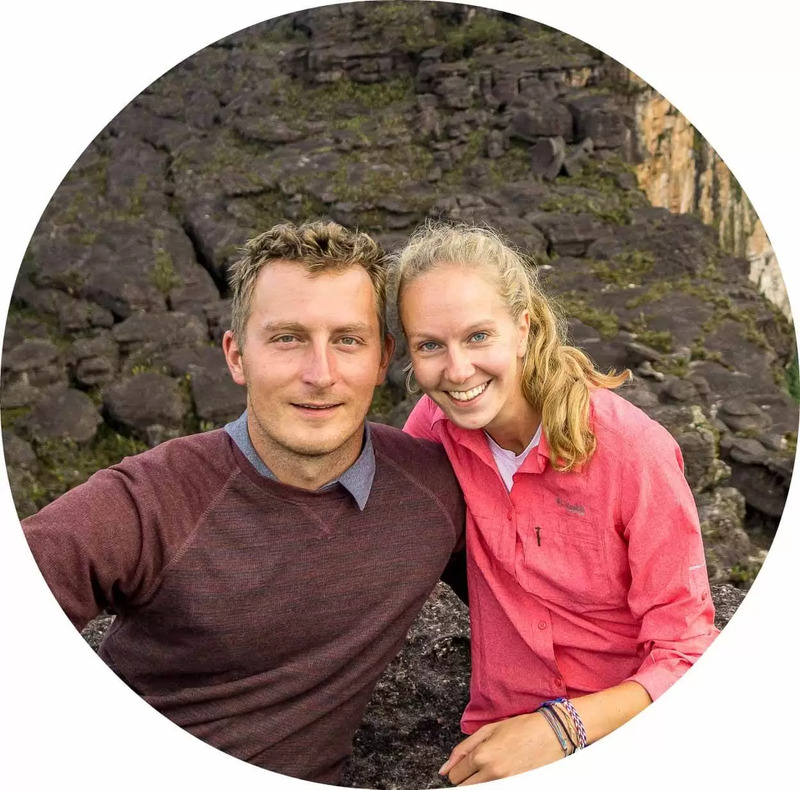 I pushed through my exhaustion and biked up to Logan pass with Michal by my side. I’m not sure if I would have made it to the top if Michal had not bring me granola bar and some water. I couldn’t thank him enough for that. Downhill was a bonus treat. Sometimes we were faster than cars even without pedalling. What a relief that was for our legs. 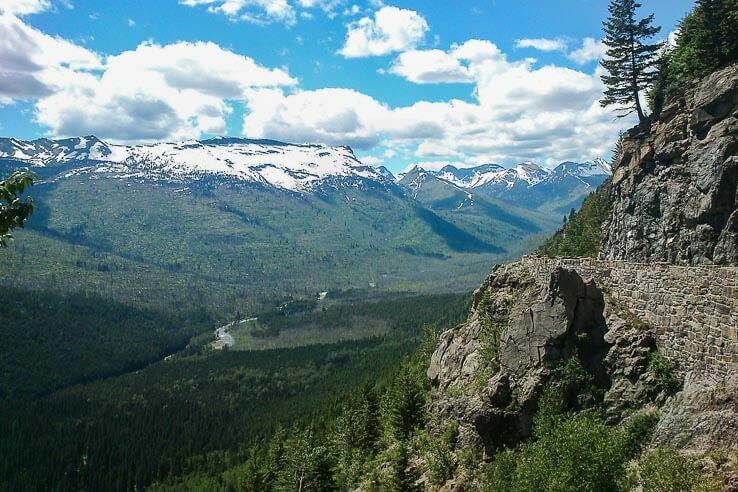 Are you planning a trip to Glacier national park to see what Montana has to offer? We stayed in a tipi during our trip. The coolest accommodation we’ve ever had! Now it’s your turn. 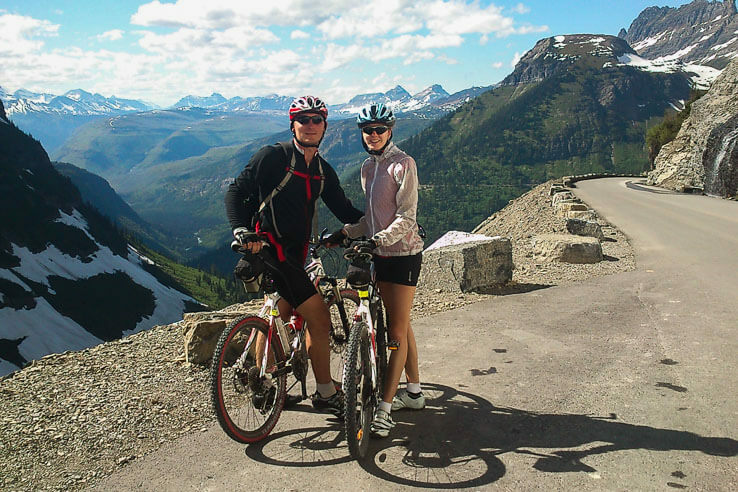 I hope this will help you on your own journey and you will enjoy biking the Going to the Sun Road as much as we did. Even if you are not up to the challenge and would like to drive the road instead, don’t forget to have fun under the waterfalls. What do you think? 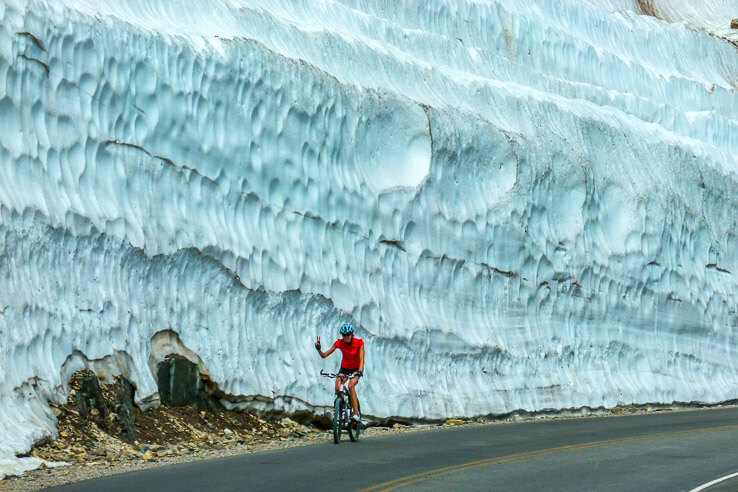 Would you like to bike the Going to the Sun Road? Or maybe rather drive by car and go hiking in Glacier National Park? 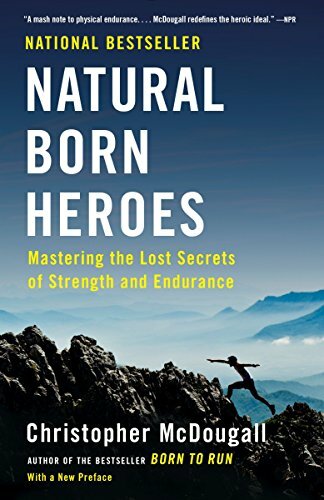 This sounds incredible – tough but rewarding, I’m sure! Those avalanche walls are kinda freaky cool! Wow! It does sound incredible. On my bucket list! Thanks for the review of this ride! Based on your suggestion, I’m going to do the west side this weekend. Thanks again! Have a great ride! I’m sure you’ll enjoy the views and keeping all the slow cars behind on your downhill.